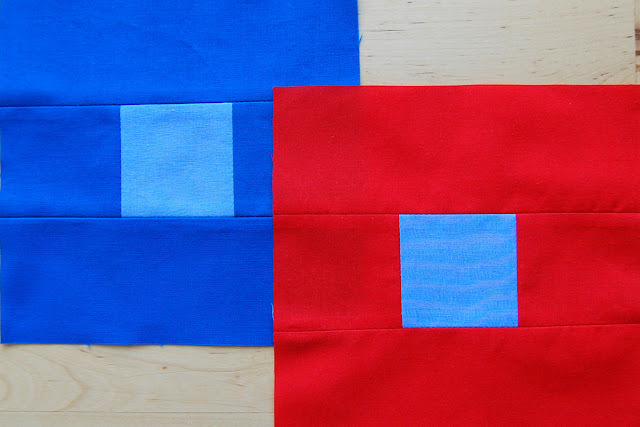 I am over the top excited this morning to announce a new series of posts about color theory for quilters (and sewists, too) that I've put together for BERNINA's blog, WeAllSew. 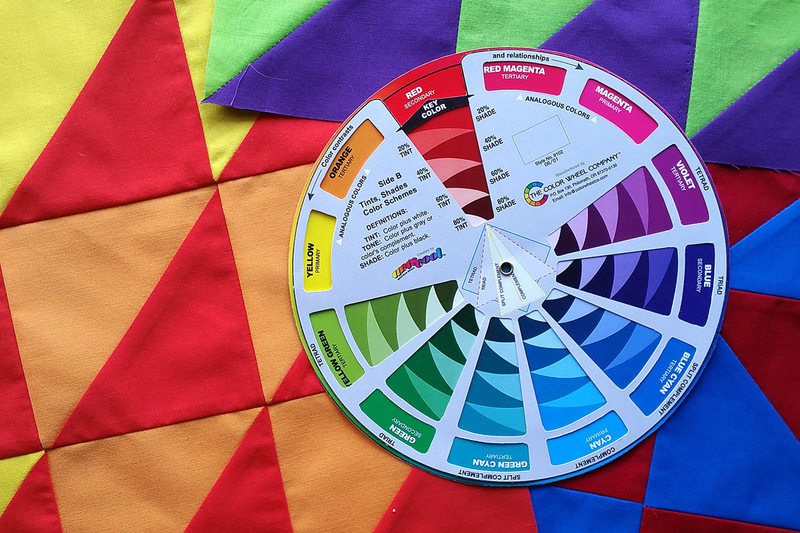 Pop over to the first post at WeAllSew, Color Wheel Basics to learn a bit about what a color wheel is and where they came from. 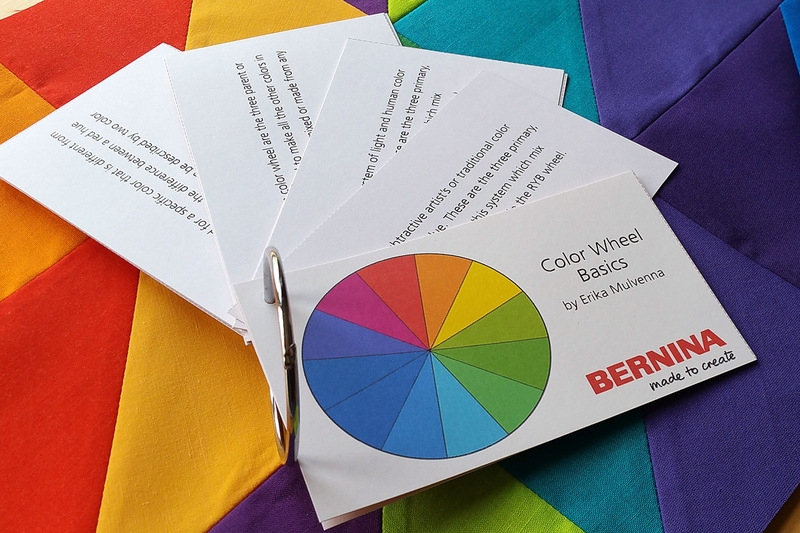 As a bonus, BERNINA has put together a set of free printable Color Wheel cards to download, cut out and use for reference! Scroll to the bottom of the post to find the download and instructions for putting the cards together. The second post, Color Harmony Basics will show you exactly how to use any color wheel to find harmonious color combinations. Using a color wheel to find color harmonies is a GREAT way to look for new color combinations or coordinating colors for quilts and sewing projects. Find free printable cards with this post showing 10 of the most basic ways to combine colors on any color wheel. 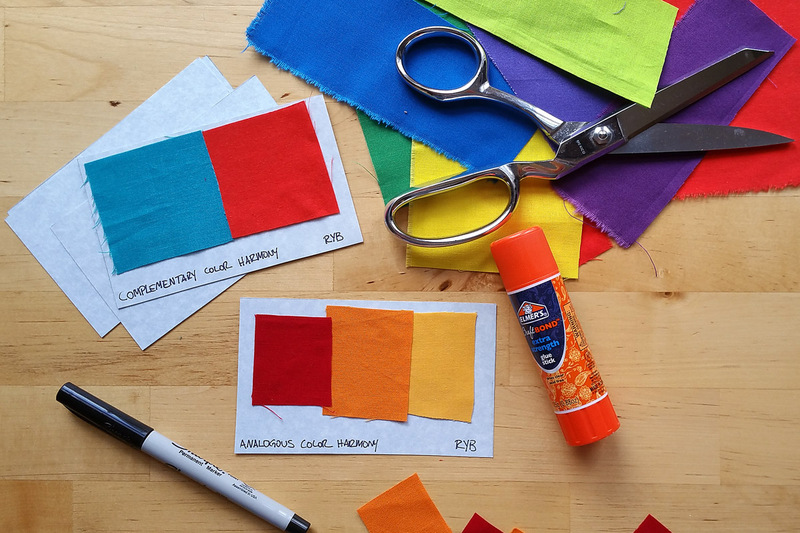 You can use these Color Harmony cards to play around with colored fabrics to find combinations you like (and even make note of those that you really don't like) for future reference. Visit this post about Simultaneous Contrast to learn how colors can play tricks with each other, and play tricks with your color perception. 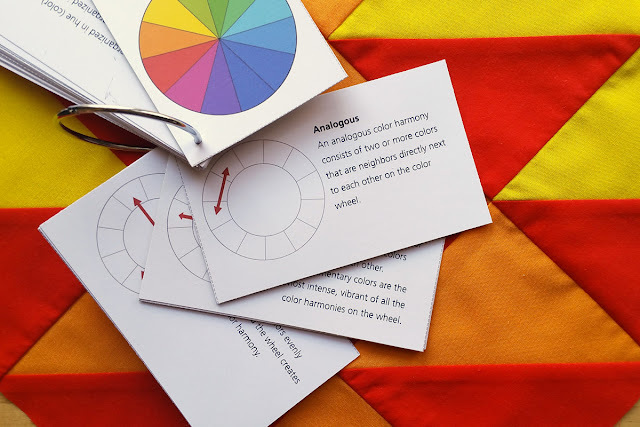 I hope you enjoy the series, and even feel confident enough to give color theory a try in your next quilt or colorful sewing project. 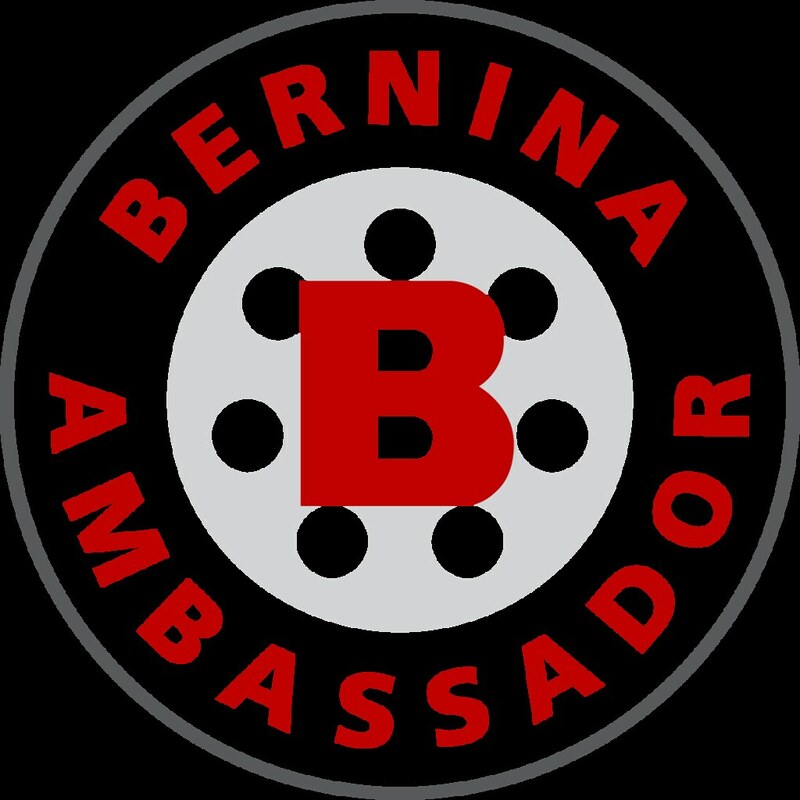 I'd love to hear from you if you do! Keep looking at the colors all around you!